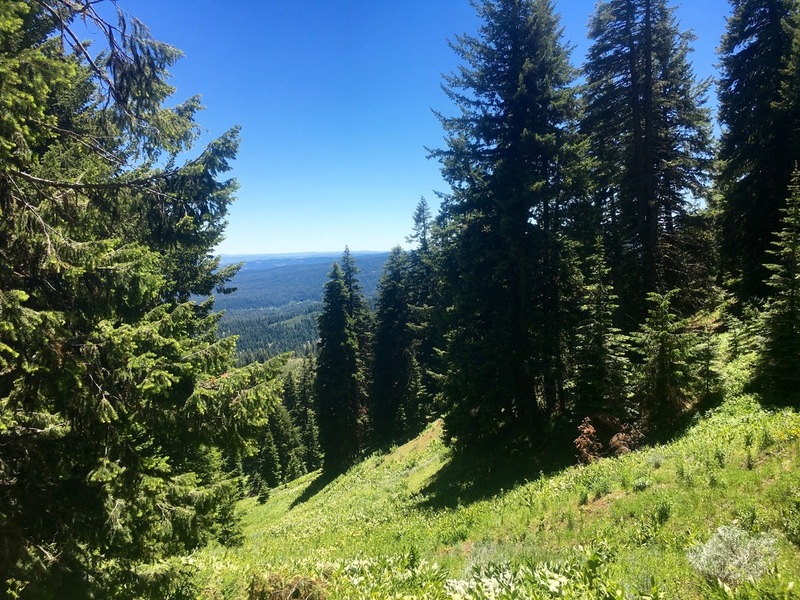 Description: This trail goes to the top of Round Mountain with beautiful panoramic views of the Cascades, Big Summit Prairie, and Lookout Mountain. In the summer there are tons of flashy wildflowers to observe as well. Begin at Round Mountain North Trailhead near Walton Lake (directions below). The trail has a constant but mellow uphill grade until a half a mile before the summit when the grade increases significantly. The trail will merge with a road, which ends at the summit of Round Mountain. At the summit, the Cascade Range extents across the skyline and butterflies dance around people’s heads in the summer. After taking a break at the top, continue back down the same way as coming up. Directions from Bend: For Round Mountain North Trailhead begin on US-97 N toward Redmond/Portland. Continue on US-97 N for about 15 miles. Turn right on OR-126/SE Evergreen Ave. Follow OR-126 for about 17 miles. OR-126 becomes NW 3rd St/US-26 E. Continue on US-26 E for about 13 miles. Turn right onto County Road 123 for about 7.5 miles. Stay left at the junction of Forest Service Road 22 and Forest Service Road 42. This will put you on Forest Service Road 22. Continue on Forest Service Road 22 for about 7 miles and then take the first right after Walton Lake Campground. The trailhead is located at the end of this road. Description: Starting from Round Mountain South Trailhead the hike to the summit is 5 miles with about 1,300 ft. elevation gain, making it a 10 mile round trip out and back hike. While the hike is considered strenuous, the uphill grade is mellow but constant. To begin, the trail goes for less than a mile and then it crosses Forest Service Road 42. The trail continues directly on the other side of the road and is well marked. Follow this trail to the summit. The trail ducks between shaded old growth ponderosa pine forest and open mountain meadows. These shaded areas make for great rest stops on a hot summer day. Frequently, there are vistas of Big Summit Prairie and Lookout Mountain. Occasionally on the way up, snippets of the Cascades are visible too. As the trail nears the summit, the path will merge with a gravel road, continue up this road to the summit. After enjoying the view, continue back down the trail the same way it came up. Directions from Bend: For Round Mountain South Trailhead begin on US-97 N toward Redmond/Portland. Continue on US-97 N for about 15 miles. Turn right on OR-126/SE Evergreen Ave. Follow OR-126 for about 17 miles. OR-126 becomes NW 3rd St/US-26 E. Continue on US-26 E for about 13 miles. Turn right onto County Road 123 for about 7.5 miles. Stay right at the junction of Forest Service Road 22 and Forest Service Road 42. Stay on Forest Service Road 42 for 7 miles. Turn right on Forest Service Road 4205 and continue on to the spur road for Round Mountain Trailhead. The trailhead is on the left. Description: Another option for hiking Round Mountain is making it into a shuttle hike. For this hike, start at the Round Mountain North Trailhead and end at the Round Mountain South Trailhead for a total length of 9 miles. This hike offers the views of both out and back hikes with about the same total distance. Once the trail merges with the road, continue up to the summit as with the other out and back hike. 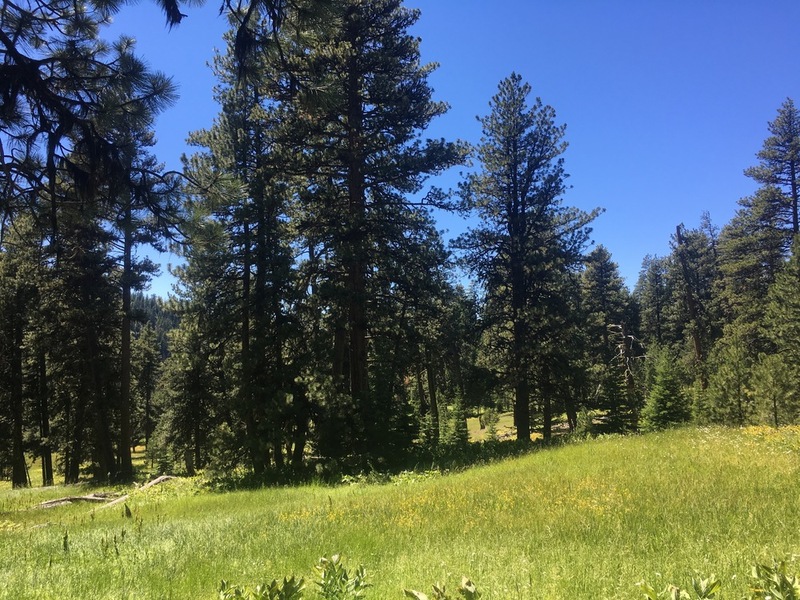 However, when going back down continue past the trail for Round Mountain North Trailhead and take a right onto the trail for Round Mountain South Trailhead about a 1/4 mile further down the road. This trail will lead to the South Trailhead where the other car should be parked. Directions from Bend: Park the first car at Round Mountain South Trailhead. For Round Mountain South Trailhead begin on US-97 N toward Redmond/Portland. Continue on US-97 N for about 15 miles. Turn right on OR-126/SE Evergreen Ave. Follow OR-126 for about 17 miles. OR-126 becomes NW 3rd St/US-26 E. Continue on US-26 E for about 13 miles. Turn right onto County Road 123 for about 7.5 miles. Stay right at the junction of Forest Service Road 22 and Forest Service Road 42. Stay on Forest Service Road 42 for 7 miles. Turn right on Forest Service Road 4205 and continue on to the spur road for Round Mountain Trailhead. The trailhead is on the left. Then in one car go to Round Mountain North Trailhead to begin the hike. For Round Mountain North Trailhead begin on US-97 N toward Redmond/Portland. Continue on US-97 N for about 15 miles. Turn right on OR-126/SE Evergreen Ave. Follow OR-126 for about 17 miles. OR-126 becomes NW 3rd St/US-26 E. Continue on US-26 E for about 13 miles. Turn right onto County Road 123 for about 7.5 miles. Stay left at the junction of Forest Service Road 22 and Forest Service Road 42. This will put you on Forest Service Road 22. Continue on Forest Service Road 22 for about 7 miles and then take the first right after Walton Lake Campground. The trailhead is located at the end of this road.